There has been a muted response to Manuel Valls’s decision to enter the French presidential race. Even those on the Left have been lukewarm with their welcome. Valls is seen as a divisive figure among the Left after forcing labour reforms through parliament and endorsing controversial bans last summer on the Islamic “burkini” swimsuit. 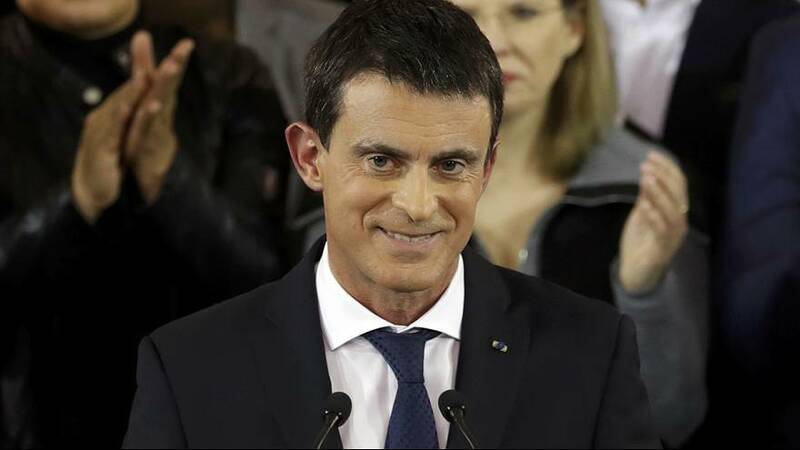 Although favourite to take the Socialist nomination, Valls still faces a fight. There are now eight candidates, with Valls’ chief rival being former economy minister Arnaud Montebourg, who is popular among the traditional left. France’s Republicans who have already chosen François Fillon as their nominee to contest the 2017 presidential election, do not view Valls as a threat. They believe he is tainted goods by his association with the unpopular Hollande administration. Valls will stand in the Socialist primaries next month. If successful, he will face François Fillon and Marine Le Pen in the first round of the presidential election in April. But even if Valls wins the Socialist nomination, there is also a new threat on the horizon in the form of former Economy Minister Emmanuel Macron, who is standing as a centrist candidate for his newly created party, En Marche.